For use during welding or applications with abrasive edges. Vinyl-coated for additional protection. 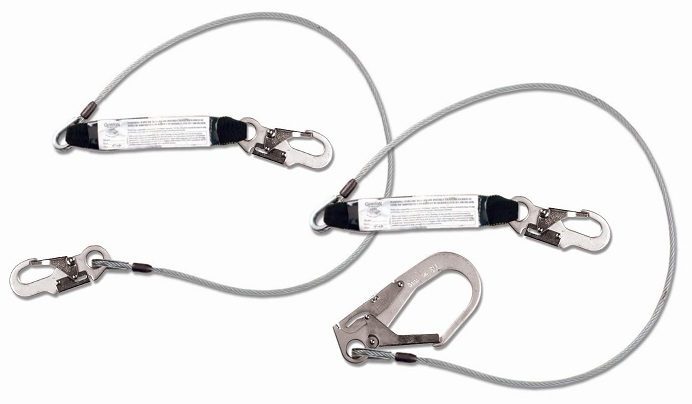 Cable Shock Absorbing Lanyards are durable and versatile.